Unless you are a celebrity or part of the royal family, there are few times in our lives when we will be cheered by a crowd of people as we leave an event. One exception to this is our wedding day! Make the most out of this rare opportunity to be cheered by a group of people who have dedicated an entire day to celebrating you and your marriage, with our top 5 ideas for a ceremony exit. 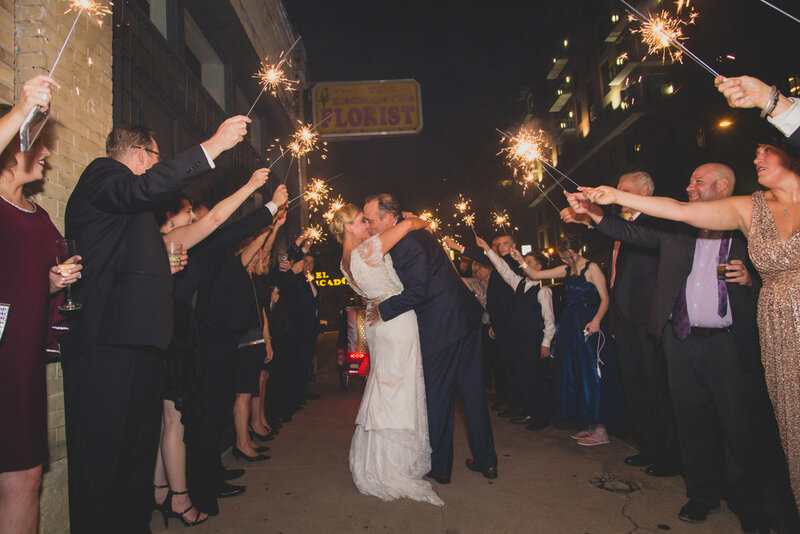 A creative way to incorporate some additional lighting into a late-night exit is through the use of sparklers. Done correctly it creates a dazzling display of dancing lights, but since a group of people holding burning sticks is inherently dangerous, this is one you will want to plan carefully in advance. Start with these tips and make your grand exit through a sea of sparks both brilliant and safe. For venues that have stringent restrictions on what can be used on the property, a safe option that works beautifully is bubbles! This childhood throwback is fun for everyone and has one of the easiest clean-ups on our list. Keep your photos both formal and classy by giving your guests bubble bottles shaped like champagne bottles. (Yes, it’s a thing!) Just be clear in your instructions if you are handing out the bubbles earlier in the day, as people may mistake them as party favors and not have them on-hand when it’s time for the bubbles to start blowing. * A word of caution: In case of rain, wet sprinkles will stain anything they touch, including wedding dresses. Fly off into the sunset and your new marriage on your very own fleet of paper planes! Not only is this option inexpensive, you can include your guests in the creative process by supplying the materials right at the guest tables. Who doesn’t love a little arts and crafts? Try encouraging your guests to write short messages on the paper before sending them flying. An assigned person can collect all the planes, and once everything settles down, you and your partner can enjoy reading all your personalized messages from your wedding day. 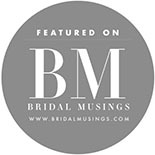 As the bride and groom, your wedding day is so packed full of action that it leaves you little time to interact with all the people who put forth the time and effort to come celebrate with you. If a quick exit through a cheering crowd of people, many of whom you didn’t even have a chance to greet feels a little too abrupt, a goodbye circle can provide the perfect opportunity to say a quick word of thanks to everyone in attendance. Your wedding day is a story of your love, and no love story is truly complete without a fairy tale ending. 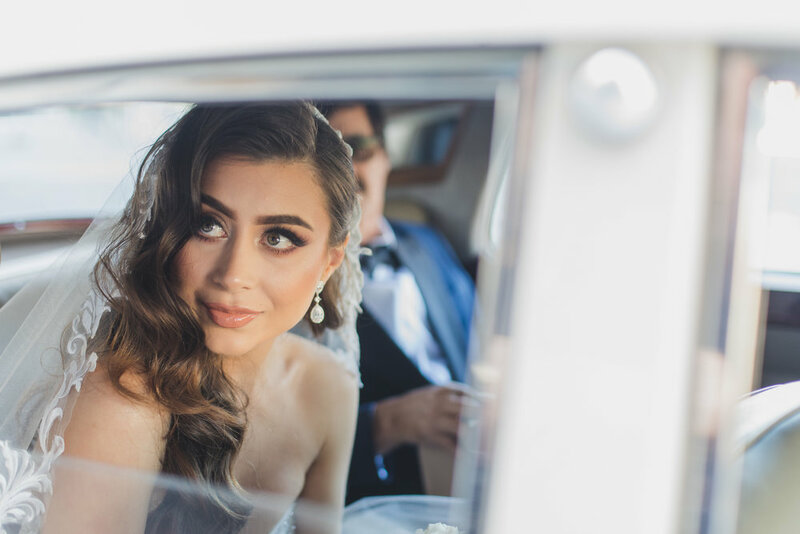 Put the final touch on your story by riding out in style with your dearly beloved by your side, and a cheering crowd at your back, ushering you both into your happily ever after.